The Minister of State for Aviation, Hadi Sirika, has announced that the national airline project (Nigeria Air) has not been canceled due to lack of investors. 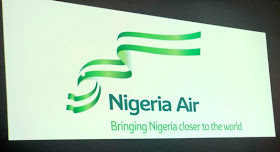 An opinion from James Odaudu, Deputy Director, Media and Public Affairs, Ministry of Transport, on Tuesday said the national carrier project "had an avalanche of well-funded and prepared investors". According to Sirika, investors include international financial institutions such as Afro-Exim Bank, African Development Bank, Standard Chartered Bank, aircraft manufacturers Airbus and Boeing. "This includes airlines like Ethiopian Airlines, Qatar Air etc. and some serious individuals and entrepreneurs. "The Office of the aviation minister has noted with dismay different opinions, comments and observations in the media regarding the status and the reasons for the recent suspension of the process to establish a national Nigerian airline noted. "Among the reasons for the suspension, especially in the social media is the lack of interested and willing investors. "This could not be further from the truth as the national carrier project has an avalanche of well-funded and ready investors," he said.